2 Bdrm Upper Flat. Hall. Lounge. Kitch. Bdrm. Bathrm. Upper flr: Bdrm (CT band - C). 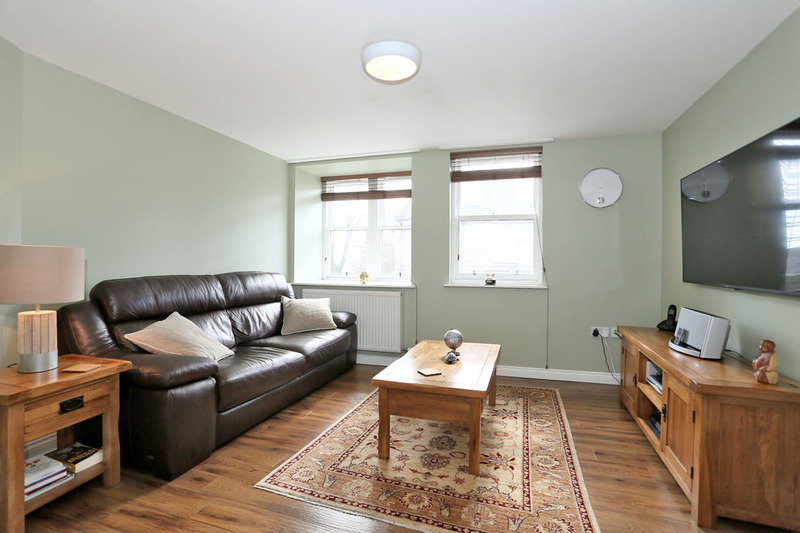 Price over £155,000 Entry by arr. Viewing contact solicitors. (EPC band - C). 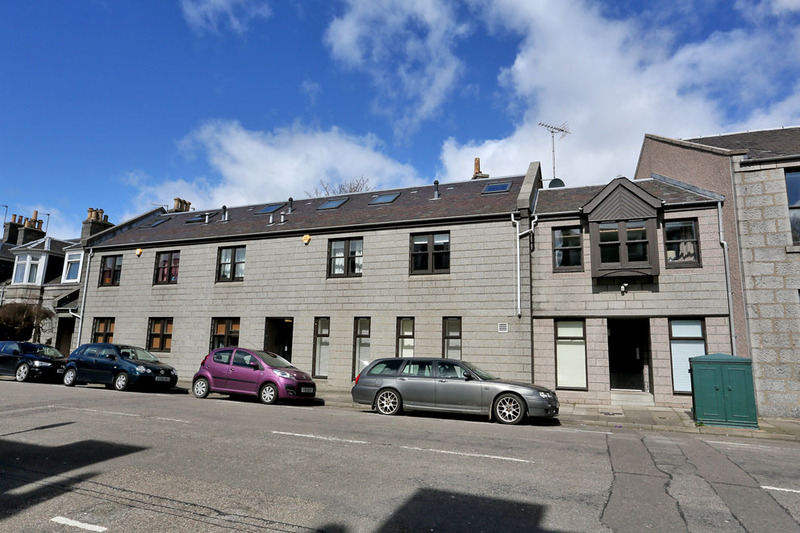 This two bedroom maisonette is in excellent decorative order throughout and would make an ideal purchase for the discerning home buyer looking to buy a property in a popular city centre location, close to Aberdeen University and Foresterhill Hospital Complex, in a ready to move in condition. The property is served by a security entry system and is well maintained throughout with the spacious accommodation comprising a welcoming entrance with Karndean flooring and deep storage/cloak cupboard; the lounge has two windows overlooking the front and again has Karndean flooring and a wall mounted television bracket. 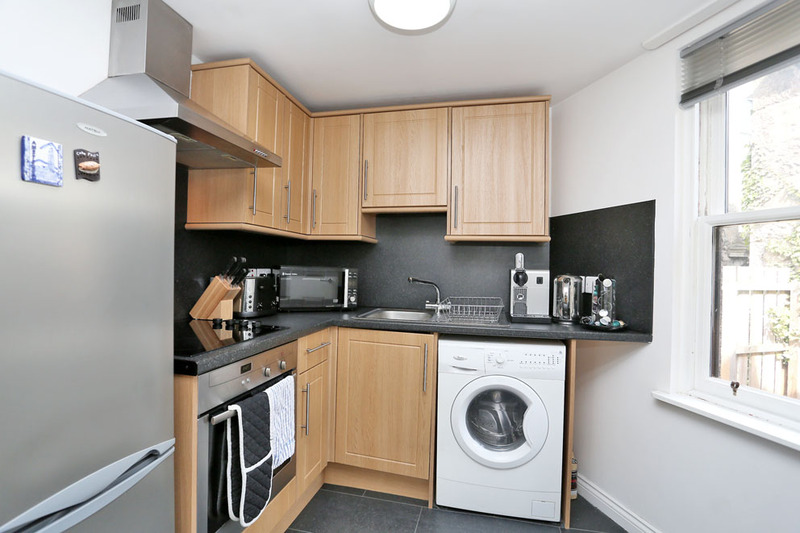 The kitchen, located off the lounge, is fitted with an excellent range of base and wall units with stainless steel handles, ample worktop space with matching splashbacks, built-in ceramic hob, oven and stainless steel cooker hood, space for fridge/freezer and fittings for plumbing in automatic washing machine. 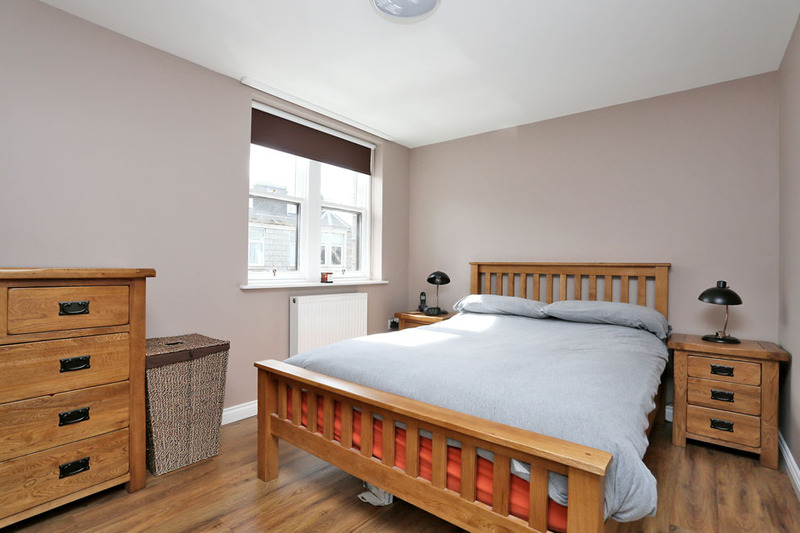 A double bedroom, located to the front, is spacious and has the benefit of laminate flooring. 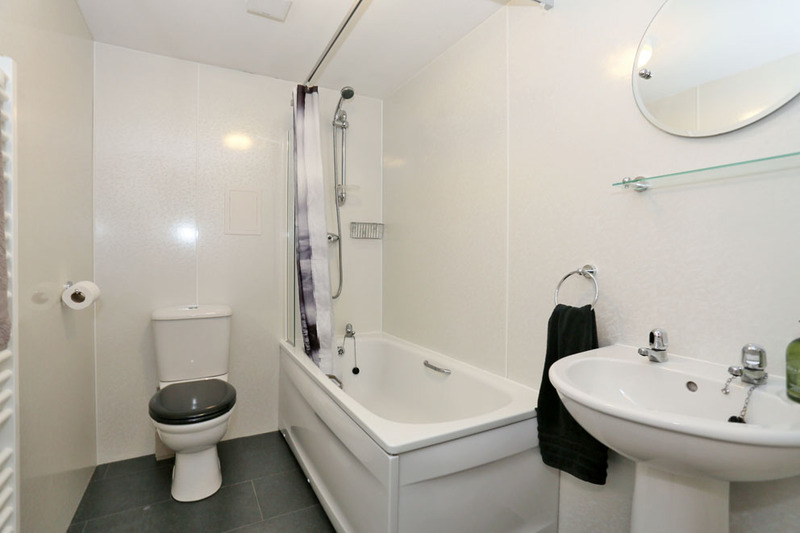 The bathroom is fitted with a white three piece suite comprising w.c., wash hand basin and bath with power shower and shower screen, heated towel rail. 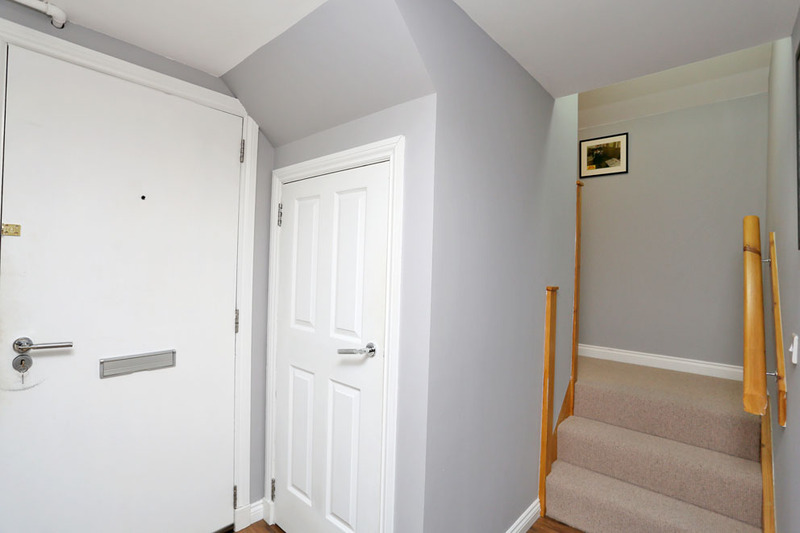 A comfortably graded staircase leads to the upper floor which has a cupboard housing the central heating boiler on the landing. 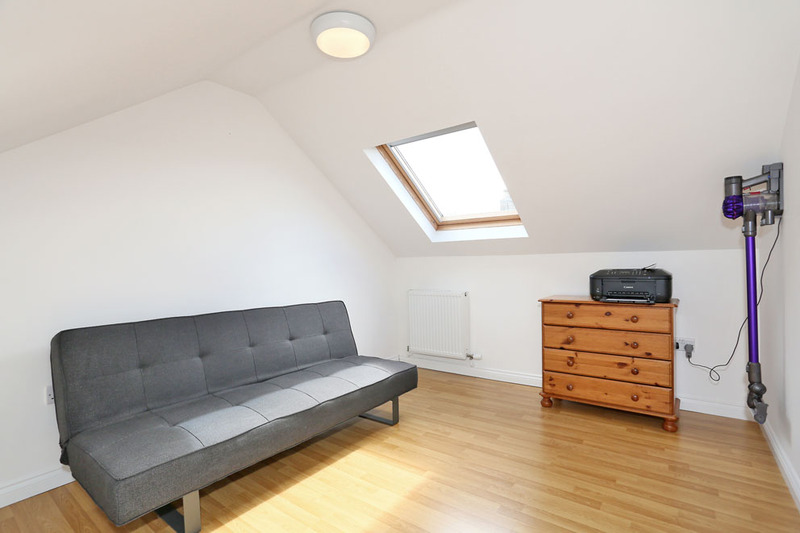 The second double bedroom has a Velux window to the front, laminate flooring, central light fitment and ample space for bedroom furniture. NOTE: The furniture and furnishings may, if desired, be purchased at mutual valuation. Lounge 12'0" x 11'10" (3.66m x 3.61m) approx. Kitchen 7'3" x 6'11" (2.21m x 2.11m) approx. Double Bedroom 12'2" x 9'0" (3.71m x 2.74m) approx. Bathroom 7'10" x 5'6" (2.39m x 1.68m) approx. Double Bedroom 12'5" x 10'0" (3.79m x 3.05m) approx. 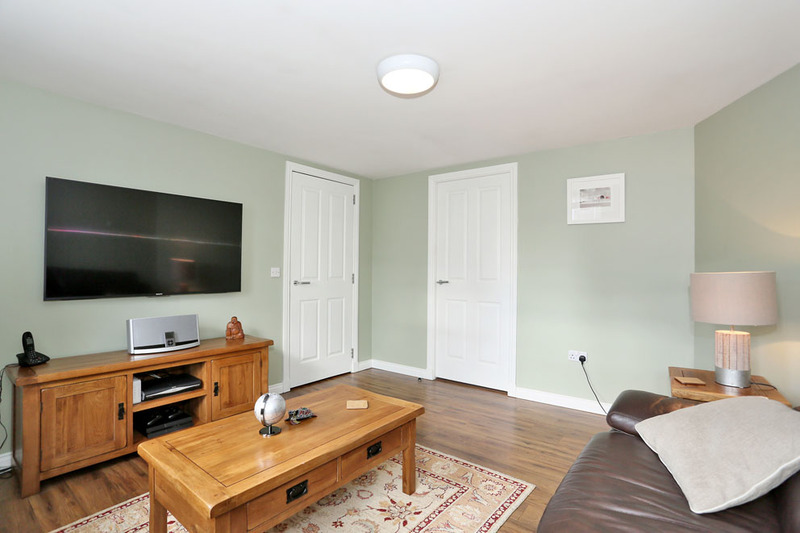 The floor coverings, blinds and light fitments, together with the white good in the kitchen are all to be included in the price and will remain. Directions: From George Street travel north; at the Powis Place traffic lights turn left into Calsayseat Road. No 4b is a short distance along on the right hand side. 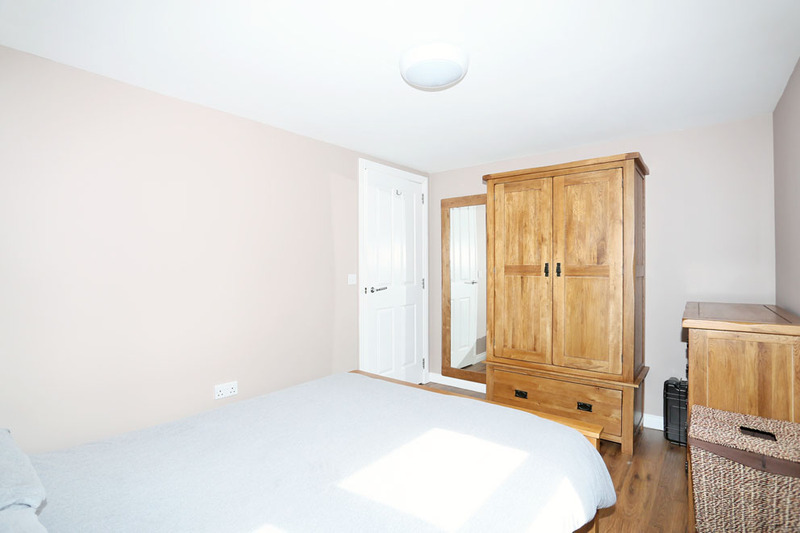 Location: Calsayseat Road is a city centre location close to a host of amenities including the Kittybrewster and Berryden Retail Parks with their many shopping facilities. A public bus service is within easy walking distance making most parts of the city readily accessible. Aberdeen University Campus, Aberdeen College and Foresterhill Hospital Complex are all within relatively easy walking distance.